Marc Avery, MD, is a board-certified psychiatrist and clinical professor of psychiatry at the University of Washington School of Medicine. He is recognized as a national leader in the development of person-centered, integrated psychiatric care for high needs and safety-net patients. Dr. Avery is primarily focused on the areas of delivery systems transformation with special expertise in behavioral health and primary care integration. At the clinic level, he is also expert in the areas of population health, collaborative care, person-centered care and measurement-based care. Dr. Avery has been appointed to the faculty at the University of Washington School of Medicine in the Department of Psychiatry and Behavioral Sciences since 2012. There, he developed and directed the Psychiatric Consultation and Telepsychiatry program, with a focus on several innovative technology-based psychiatric services including integrated care and tele-psychiatry. At the university, Dr. Avery has served on several senior committees at the division and department level, led the effort to develop a university health system–wide strategy for population healthcare for patients with depression. 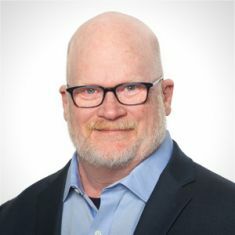 Prior to joining the University of Washington, Dr. Avery was chief medical officer for more than 15 years at a large community mental health center in the Seattle area. During that time, he provided leadership on several state and regional programs and initiatives in the areas of credentialing, formulary, clinical standards, accreditation, health information privacy, compliance, and others. Dr. Avery has provided leadership and administrative oversight on a number of well-known large-scale programs, including Washington State’s Mental Health Integration program, serving more than 50,000 patients; the University of Washington’s Behavioral Health Integration Program with 18 primary care clinics in King County; the California Coordinated Care Collaborative, serving 13 counties in California; and the Behavioral Health Integrated Complex Care Collaborative, serving 15 medical service organizations in two large counties in Southern California. Dr. Avery completed his psychiatric training at the University of California. He lives in Seattle where he enjoys gardening, cooking, hiking, and generally exploring the city and its surroundings.